There’s no escaping the living dead these days. Zombies have infested television, movies, and popular literature to the degree that any new, zombie-friendly projects are likely to have a tough time standing out from the pack. World War Z manages to offer something that looks and feels very different than what we’re used to seeing in zombie stories these days. With World War Z, however, director Marc Foster (Quantum of Solace) manages to forge his film’s identity within that pack – and craft a unique, exciting adventure that proves there’s still something fresh to be found in the world of rotting, flesh-hungry corpses. Based on Max Brooks’ celebrated novel World War Z: An Oral History of the Zombie War, the new film casts Brad Pitt as a former U.N. investigator caught up in a global zombie epidemic that is quickly eradicating life as we know it. As he travels the world in search of the “patient zero” – the very first victim of the plague – he witnesses the ways in which various cities and other pockets of humanity are weathering the storm and attempts to find any way whatsoever to stem the (quite literal) tide of zombies rolling across the world. 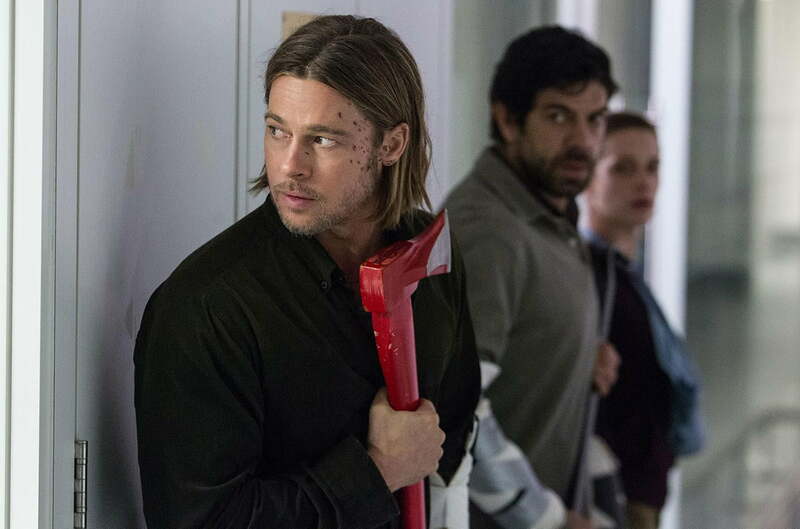 It’s worth noting early on that fans of the novel expecting a page-by-page adaptation will be disappointed, but that doesn’t mean Forster and the team of World War Z screenwriters (which includes Lost scribe Damon Lindelof) haven’t provided a story that captures many of the themes of the book, if not its precise plot. 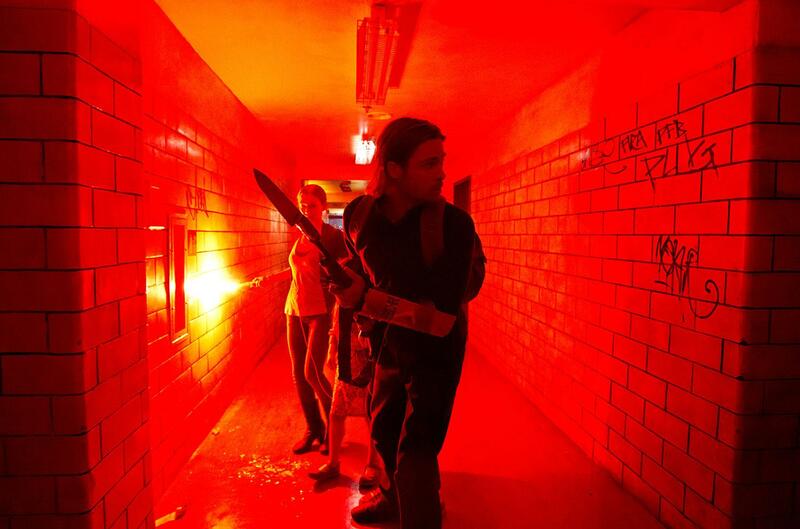 Like the book, World War Z the movie offers a unique, global perspective on the spread of zombies. As Pitt’s U.N. investigator makes his way around the world, the audience learns how certain regions’ infrastructure helped or hindered the spread of the plague, providing a real sense of the “big picture” that most stories in the genre lack. 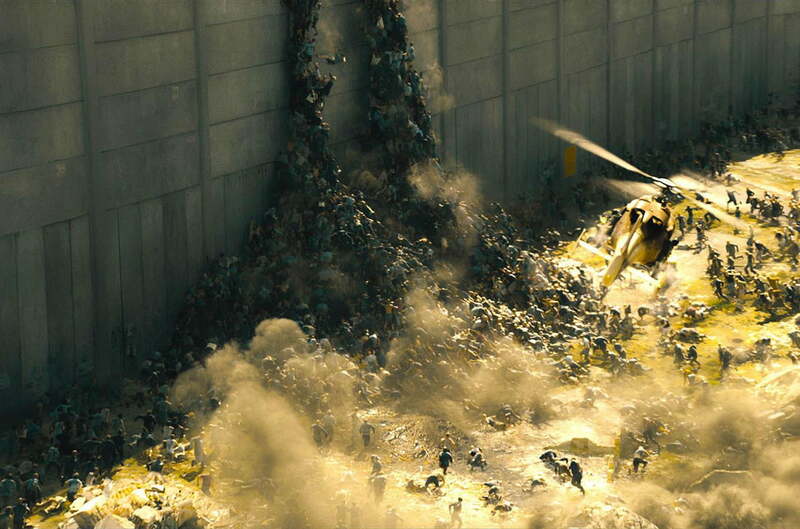 Diehard fans of the book will likely twitch at the compressed nature of the World War Z movie, which unfolds over a short period of time instead of the multi-year struggle chronicled in the novel, and the behavior of the zombies – fast-moving creatures instead of shambling hordes – creates a bit of a disconnect between the two projects. 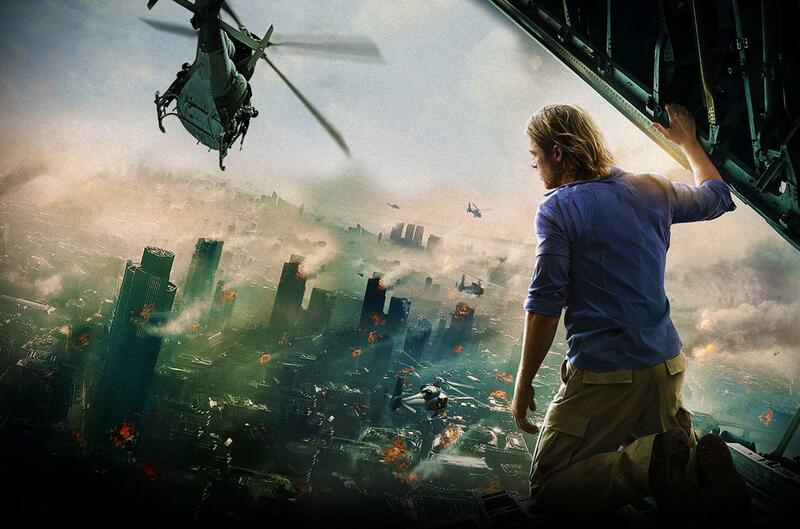 When World War Z is at its best, though, it showcases the way in which the war against the zombies is one of attrition – and why the living dead are winning. The film features a number of fantastic set pieces that reveal how quickly an otherwise quiet, or seemingly secure location can be overrun by zombies, and the way in which the creatures’ herd-like behavior can result in a literal tide of living dead, washing over its victims in a bloody, gory wave of destruction. It’s something we haven’t seen before in zombie movies (or television, for that matter), and serves as a nice reminder that the genre’s bones haven’t been picked clean yet. Along with zombie-horde effects, the film also offers a few clever set pieces that are well worth the price of admission, including an incredibly tense airplane sequence that looks at what would happen if a zombie found its way onto a passenger jet, and a frantic opening sequence that – without revealing any spoilers – does a nice job of setting the tone for everything that follows. While most zombie stories unfold in the aftermath of an apocalyptic scenario, World War Z gives its audience a ringside seat to the epidemic’s origin and takes you right through to its resolution. However, it’s in that resolution that the movie stumbles, with the third act of World War Z feeling noticeably different than the rest of the film. Whereas much of the movie before that point involved Pitt’s character traveling from one global hotspot to the next – often with a crowd of zombies in his wake – the third act unfolds in a much more confined area, and the pace of the story grinds to a slow crawl. The focus of the film also seems to shift from the events unfolding around Pitt’s character to the character himself, offering an overt reminder of who the “hero” is in this story. This change-up in pacing and tone does a disservice to what was otherwise a fast-paced, frantic, zombie-fueled travelogue and the final act ends up feeling a bit too narrowly focused and “clean” in its resolution. 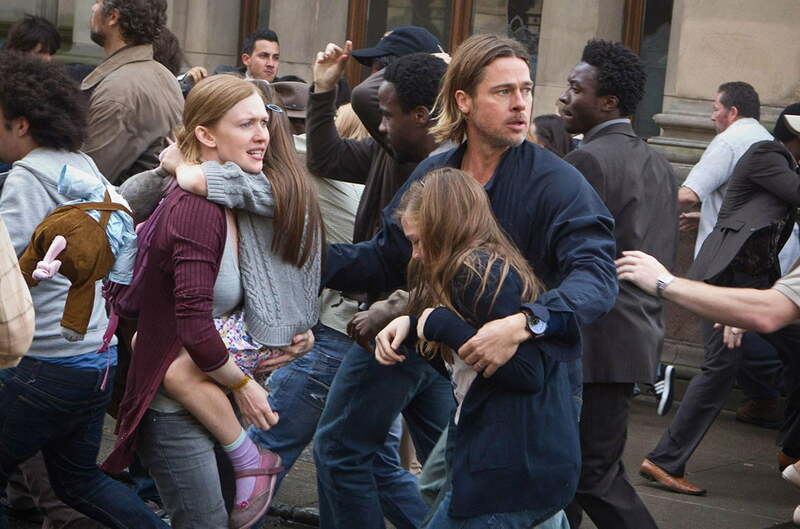 To its credit, World War Z manages to offer something that looks and feels very different than what we’re used to seeing in zombie stories these days. And given how crowded the genre has become, that’s no small achievement. While it might not win over diehard fans of the novel – an obstacle most adaptations face and few overcome – World War Z offers a strong case that a bigger focus can indeed be better when it comes to the living dead, and that there are still signs of life in living-dead cinema.